Braids are always popular in little girls hairstyles. 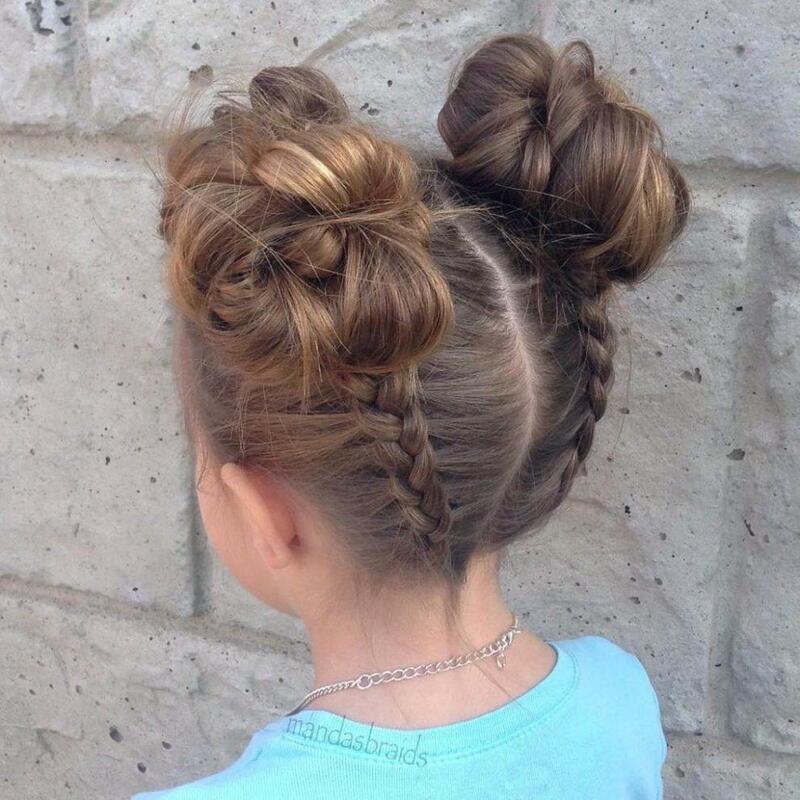 These buns are a fun way to diversify braided hairdos for girls. Part her hair down the center. Starting from the neck, dutch braid each section, working up. Twist the braids at the ends into buns.